This new book is based upon the work of Major F. Pridmore (The Coins of the British Commonwealth of Nations. Part 4, India. Volume 2, Uniform Coinage), published in 1980. 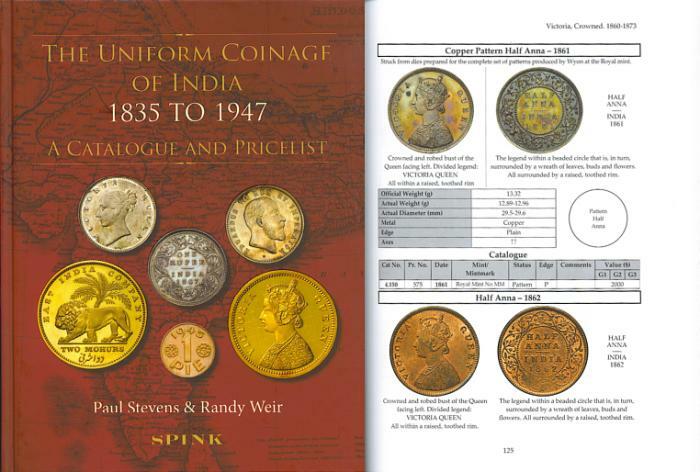 The market for Indian coins has developed considerably in that time and the need for an up-to-date reference work with current values has been apparent for some time.